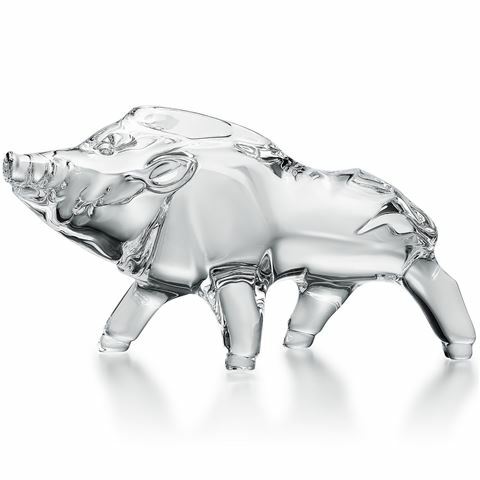 As a symbol of luck, good fortune and wealth, Baccarat’s Zodiaque Clear Boar has been expertly forged from crystal and is sure to help you ring in the Year of the Pig in style. Commemorates the Year of the Pig. Dimensions: Approx. 14.9cm (l) x 7.8cm (h) x 6cm (w).